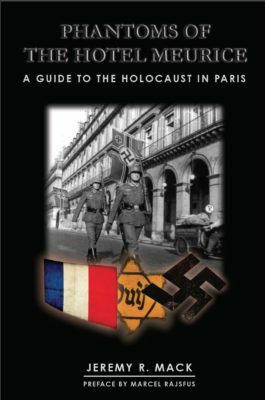 This book is about the denial in contemporary France of the period of German occupation and, in particular, about French disavowal of participation in the final solution. Using then and now pictures of places where terrible and momentous events occurred and of significant actors in the history of the time, it functions as a guidebook to the events that took place and as a guide to understanding how such atrocities could have happened in an eminently civilized nation. 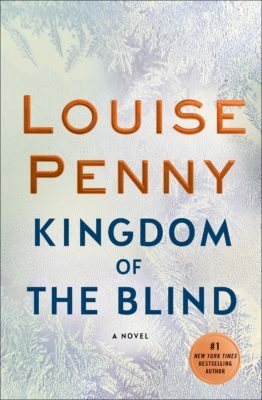 Louise Penny will be here signing copies of her new book Kingdom of the Blind from 5-7pm. When a peculiar letter arrives inviting Armand Gamache to an abandoned farmhouse, the former head of the Sûreté du Québec discovers that a complete stranger has named him one of the executors of her will. Still on suspension, and frankly curious, Gamache accepts and soon learns that the other two executors are Myrna Landers, the bookseller from Three Pines, and a young builder. None of them had ever met the elderly woman.The will is so odd and includes bequests that are so wildly unlikely that Gamache and the others suspect the woman must have been delusional. But what if, Gamache begins to ask himself, she was perfectly sane? When a body is found, the terms of the bizarre will suddenly seem less peculiar and far more menacing. But it isn’t the only menace Gamache is facing. The investigation into what happened six months ago—the events that led to his suspension—has dragged on, into the dead of winter. And while most of the opioids he allowed to slip through his hands, in order to bring down the cartels, have been retrieved, there is one devastating exception. Enough narcotic to kill thousands has disappeared into inner city Montreal. With the deadly drug about to hit the streets, Gamache races for answers. As he uses increasingly audacious, even desperate, measures to retrieve the drug, Armand Gamache begins to see his own blind spots. And the terrible things hiding there. Please note that this will be a straight booksigning–no reading or presentation for this event. Kingdom of the Blind will be available for purchase the day of the event and attendees are encouraged to buy the book here. 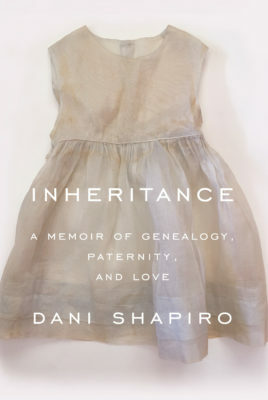 If you can’t make it between 5-7 pm, please call us and we will reserve you a signed copy. When Jessica Farris signs up for a psychology study conducted by the mysterious Dr. Shields, she thinks all she’ll have to do is answer a few questions, collect her money, and leave. But as the questions grow more and more intense and invasive and the sessions become outings where Jess is told what to wear and how to act, she begins to feel as though Dr. Shields may know what she’s thinking…and what she’s hiding. Legendary defense attorney Raquel Rematti represents a presidential candidate—and former First Lady of an ISIS-assassinated President—Senator Angelina Baldesteri in the most watched and explosive trial of the 21st Century. The Senator, a Democrat, sees it as a vendetta show trial orchestrated by the current Republican U.S. President, his Republican Attorney General, and an ambitious Republican United States Attorney in Manhattan. At the trial, a year before the election, the Senator faces charges of election fraud, tax evasion, and money laundering; each of which could deem her unfit for office and all but remove her from the Presidential race. 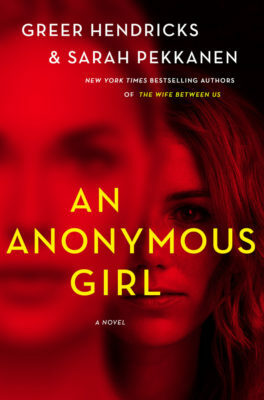 As the dramatic trial unfolds, Raquel steadily realizes that the Senator’s is hidden trail of lies which she has fought hard to keep from the light of day including a series of complicated and illicit connections. As Raquel’s complex, conflicted relationship with her client begins to gradually endanger herself, she must decide whether to face the recurrent dangers or allow her life and the lives of those she loves to be threatened. Karen LeFrak is Back! 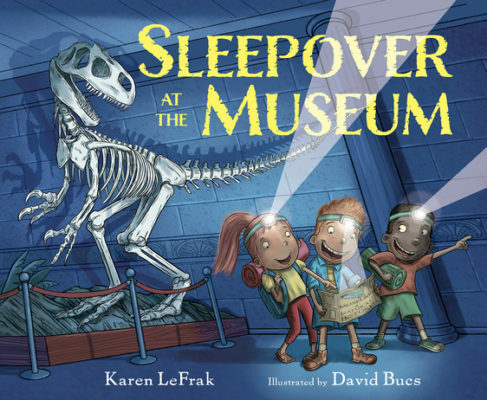 And signing copies of Sleepover at the Museum from 4-6pm. Imagine spending your birthday at the museum! Join Mason and his friends on their scavenger hunt through all the exhibits that make any natural history museum so special. The perfect birthday gift for museum lovers and adventure-seekers alike! Peter Caine, a cutthroat Manhattan defense attorney, worked ruthlessly to become the best at his job. On the surface, he is charming and handsome, but inside he is cold and heartless. He fights without remorse to acquit murderers, pedophiles and rapists. 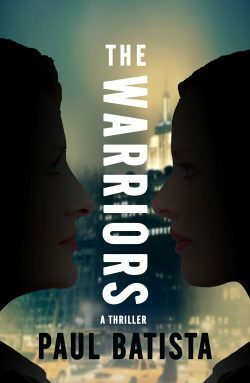 When Charlie Doyle, the daughter of the Manhattan DA—and Peter’s former lover—is murdered, Peter’s world is quickly sent into a tailspin. 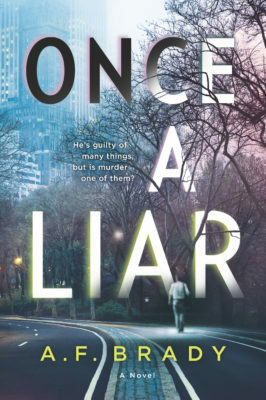 He becomes the prime suspect as the DA, a professional enemy of Peter’s, embarks on a witch hunt to avenge his daughter’s death, stopping at nothing to ensure Peter is found guilty of the murder. 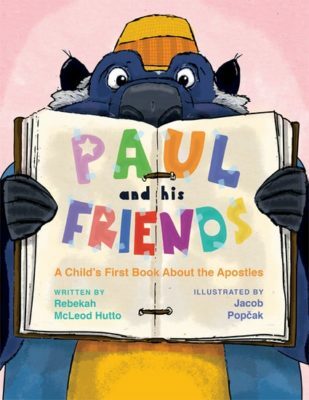 Celebrated children’s author Rebekah McLeod Hutto (The Day When God Made Church) teams up with illustrator Jacob Popčak to introduce kids to the Apostle Paul — in the form of a lovable honey badger! Young readers will be introduced to Paul and his ministry and then hear stories of his friends, including Ananias, Barnabas, Silas, Lydia, Priscilla and Aquila, and Timothy. All of these New Testament characters will help teach kids about friendship, and how Jesus, our friend, calls us to care for each other as friends. Originally from South Carolina, Rebekah McLeod Hutto is a graduate of Wofford College and Duke Divinity School. She is a Presbyterian U.S.A. minister currently serving in New York City at Brick Presbyterian Church. She and her husband, B.J., are raising their children to love the diversity and culture of New York City. As a child Rebekah was surrounded by stories and one day hoped to write engaging stories for children. The Day When God Made Church was her first children’s book and she was excited to follow it with this book on friendship in the early church. Jacob Popčak is an award-winning illustrator and graphic designer. His work has been recognized by The Walt Disney Company and featured in galleries across the US, Mexico and Ireland. Jacob splits his time between Pittsburgh, PA and Cincinnati, OH, where he enjoys pursuing artistic projects that inspire people towards greater love for God and one another. This is his first book for children. 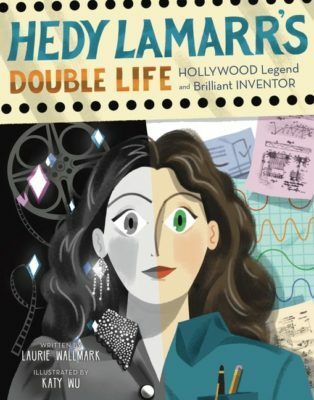 To her adoring public, Hedy Lamarr was a glamorous movie star, widely considered the most beautiful woman in the world. But in private, she was something more: a brilliant inventor. And for many years only her closest friends knew her secret. Now Laurie Wallmark and Katy Wu, who collaborated on Sterling’s critically acclaimed picture-book biography Grace Hopper: Queen of Computer Code, tell the inspiring story of how, during World War Two, Lamarr developed a groundbreaking communications system that still remains essential to the security of today’s technology. Ivan is a tightly wound philosophy professor whose reverence for logic and order governs not only his academic interests, but also his closest relationships. His wife, Prue, is quite the opposite: a pioneer in the emerging field of biolinguistics, she is bold and vibrant, full of life and feeling. Thus far, they have managed to weather their differences. But lately, an odd distance has settled in between them. Might it have something to do with the arrival of the college’s dashing but insufferable new writer-in-residence, whose novel Prue always seems to be reading? Into this delicate moment barrels Ivan’s unstable father-in-law, Frank, in town to hear Prue deliver a lecture on birdsong that is set to cement her tenure application. But the talk doesn’t go as planned, unleashing a series of crises that force Ivan to finally confront the problems in his marriage, and to begin to fight – at last – for what he holds dear. 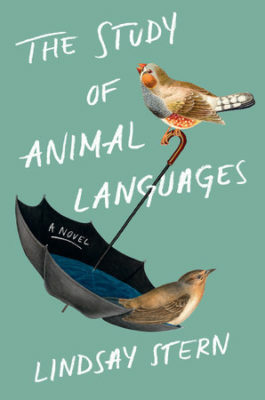 A dazzlingly insightful and entertaining novel about the limitations of language, the fragility of love, and the ways we misunderstand each other and ourselves, The Study of Animal Languages marks the debut of a brilliant new voice in fiction.